We were invited to design a brand identity, packaging, point of purchase materials and stationery for a start-up company producing onigiri. Often called rice balls in English, onigiri are made of cooked (Japanese) rice, and are pressed into a triangular shape about three inches across and one inch thick. There is often a filling of grilled salmon, cod roe, kombu (kelp) or an umeboshi, which is a Japanese pickled plum. 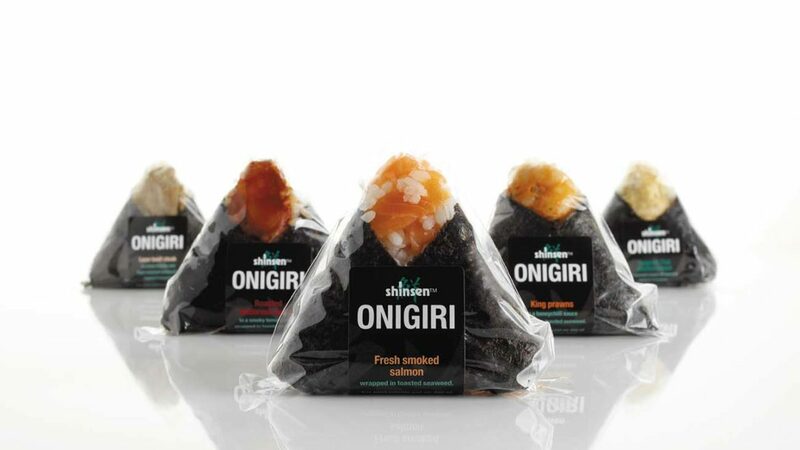 Shinsen onigiri are then wrapped in a sheet of nori or seaweed. Shinsen are supplying the product to retailers and health clubs.